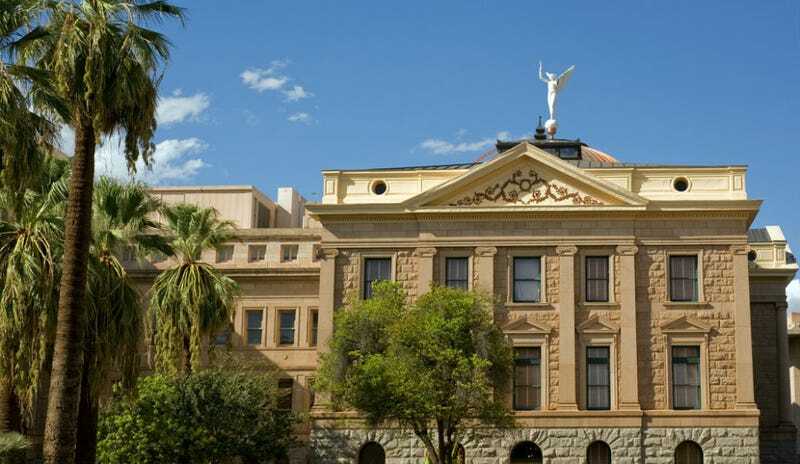 The Arizona House and Senate have passed legislation that lets businesses refuse services to gay people on religious grounds. The bill allows any business, church or person to cite the law as a defense in any action brought by the government or individual claiming discrimination. It also allows the business or person to seek an injunction once they show their actions are based on a sincere religious belief and the claim places a burden on the exercise of their religion. Sen. Steve Yarbrough, a Republican from Chandler, says the bill is to protect people's rights. "This bill is not about discrimination," Yarbrough said. "It's about preventing discrimination against people who are clearly living out their faith." "We all have the right to our religious beliefs," Gallardo maintained. "But I do not agree that we have the right to discriminate because of our religious beliefs. I do not believe we have to throw our religious beliefs to others that don't share our same beliefs." Gallardo says business should put up signs that indicate their anti-gay policies. I can't wait for the Buzzfeed "10 Ten Most Homophobic Arizona Business Signs" listicle to come out of that debacle. Sen. Lynne Pancrazi, D-Yuma, said that, issues of discrimination aside, the legislation is bad for business. She fears Arizona would face the same boycotts it did when former Gov. Evan Mecham rescinded a state holiday honoring slain civil rights leader Martin Luther King Jr. in the 1980s, and after Arizona enacted SB 1070 in 2010, a measure aimed at dealing with illegal immigration that some saw as an attack on Hispanics. Democrats objected to what they called a legal justification for discrimination, the Arizona Daily Star reports. SB 1062's supporters just defeated a different measure that would extend employment protections to sexual orientation. The 33-27 vote by the House sends the legislation to Republican Gov. Jan Brewer and puts Arizona back at the forefront of a polarizing piece of legislation four years after the state enacted an immigration crackdown that caused a national furor. At least some good news tonight—similar legislation that was approved by the Kansas House died in the Senate. So, at least a small sliver of hope that our country isn't slowly turning into an anti-gay wasteland.